A gear shifter is a component used to control the gearing mechanisms and select the desired gear ratio. 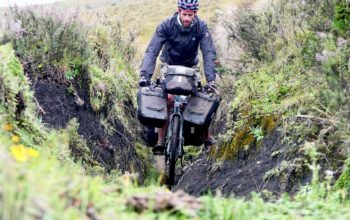 In terms of reliability, the gear shifter is another essential part on a touring bicycle. Without a working gear shifter you are often left with just one gear (and often a gear that is not very useful). 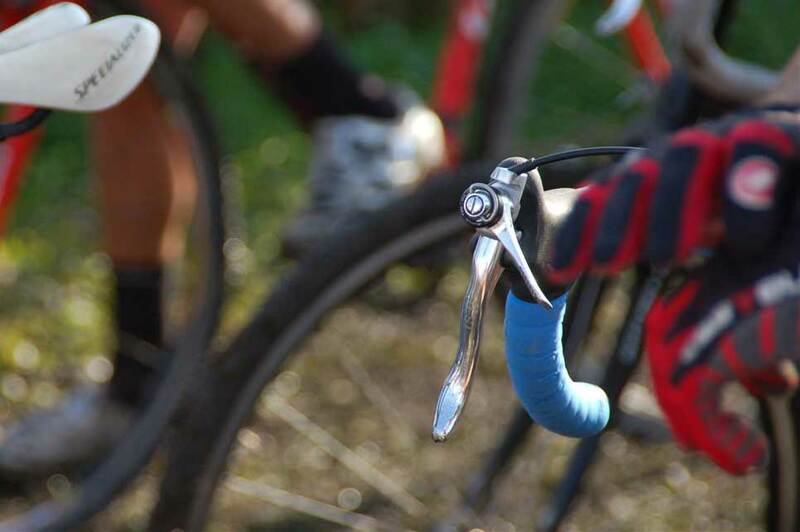 A friction shifter (often referred to as downtube or barend shifter) is a lever that moves up and down, pulling a gear cable and in effect changing your gears. There is nothing complex about friction shifters. Indexed shifting: Having designated index points on a shifter that adjust gear cables to pull the derailleur to a particular gear. 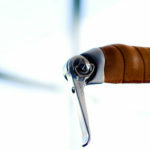 Integrated road shift/brake levers, MTB shifters and downtube/barend shifters will have this feature. 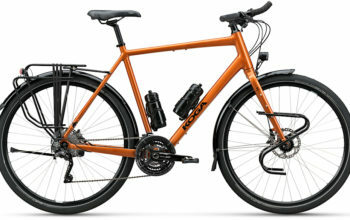 Friction shifting: Having infinite adjustment of a cable to change gears manually. 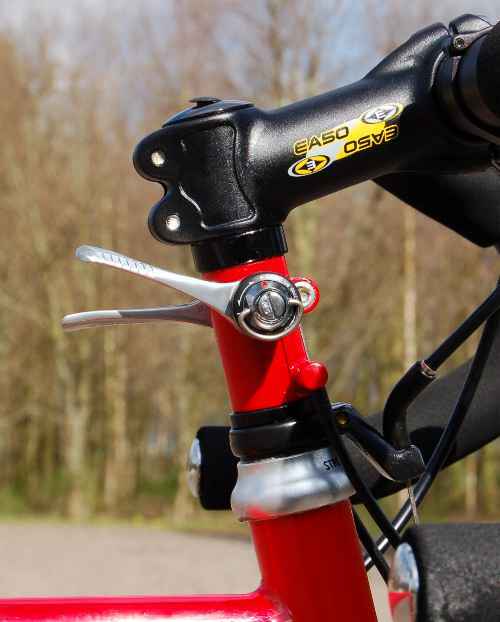 Friction shifters are recognised by levers found most typically on downtubes or barends – and have the ability to be switched to being indexed. 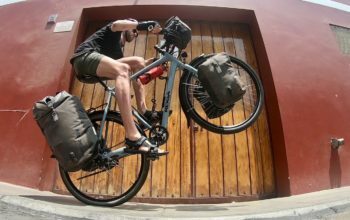 Many people question the fact that friction shifters are found stock on bike builds such as the Surly Long Haul Trucker, Kona Sutra and KHS TR101. Why wouldn’t you just use a normal road shifter, capable of easy gear changes without taking your fingers off the brakes? The answer is simply simplicity. What’s wrong with STI and MTB shifters? They are often complex to fix. I have broken many road and MTB shifters in my time. Springs and coils can become dislodged, ceasing their operation. Although I am sometimes able to fix these shifters with replacement parts or careful rebuilds, it is not a worry I like to take on while I am touring. – The most robust gear changing design known to man – I have never heard of a failure! 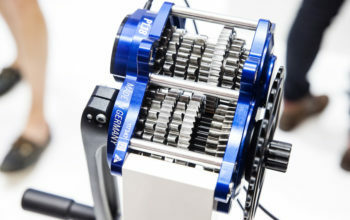 – You don’t need to be competant in bike mechanics to ‘tune’ gears on friction shifters – they require no tuning! 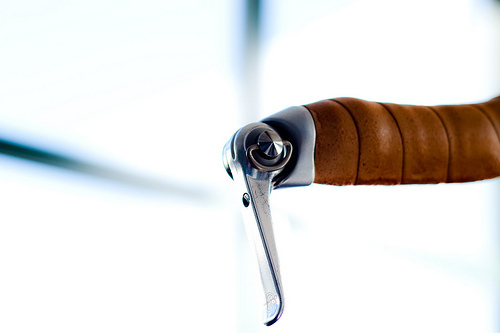 The friction shifter isn’t just limited to use on road or drop handlebars. 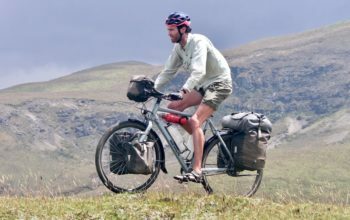 As a user of a flat, trekking or moustache handlebar, you are able to use the Paul Thumbie adapters to run a downtube shifter on your handlebar! These are made to run on a standard grip size handlebar (22.2mm) or you can get a road model that sits on the top of the handlebar (26.0mm). 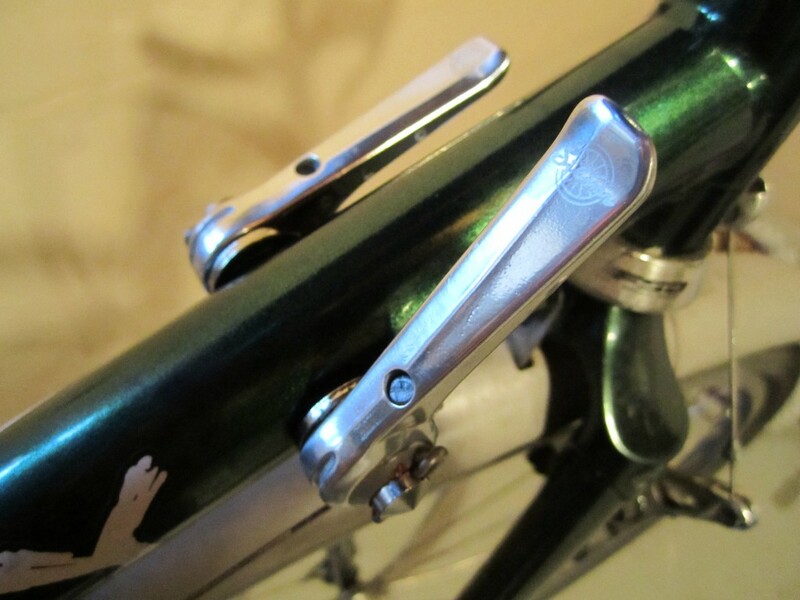 Another option (other than downtube/barend) for road handlebars are Retroshift levers. They are not yet available, but should be available by the end of 2011. Other methods include steerer and stem mounting, if they can fit on your build. 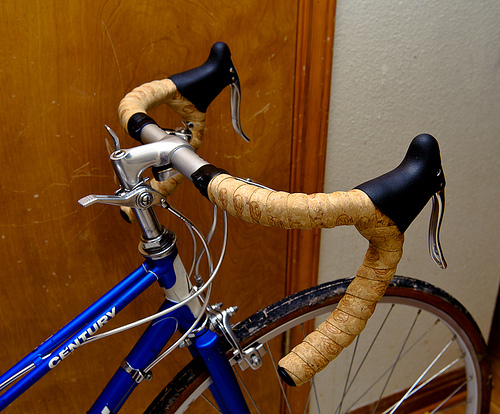 Keep in mind that these methods can increase the height of your handlebars considerably. M-gineering from the Netherlands made the custom red steerer mount featured in the above picture. 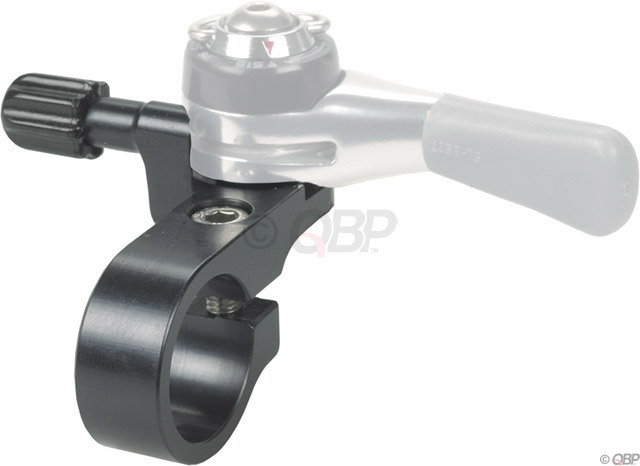 – Using friction shifters will dramatically reduce the chance of shifter failure on a bike tour. It is simple and easy to change gears and also just as simple and easy to tune. Lightweight to boot. 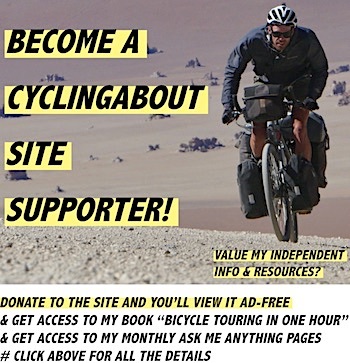 – My favourite downtube/barend shifters are Shimano Dura-Ace. They work exceptionally as well as looking neat. 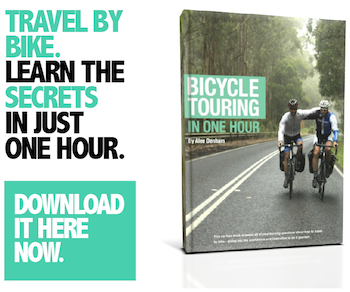 – If you’re touring for extended periods make sure that your bike has friction shifters – avoid STI and MTB shifters!